DGTL broke the mould last year by throwing their considerable weight behind an ambitious techno festival in the middle of August, the month that most promoters won’t touch with a barge pole. 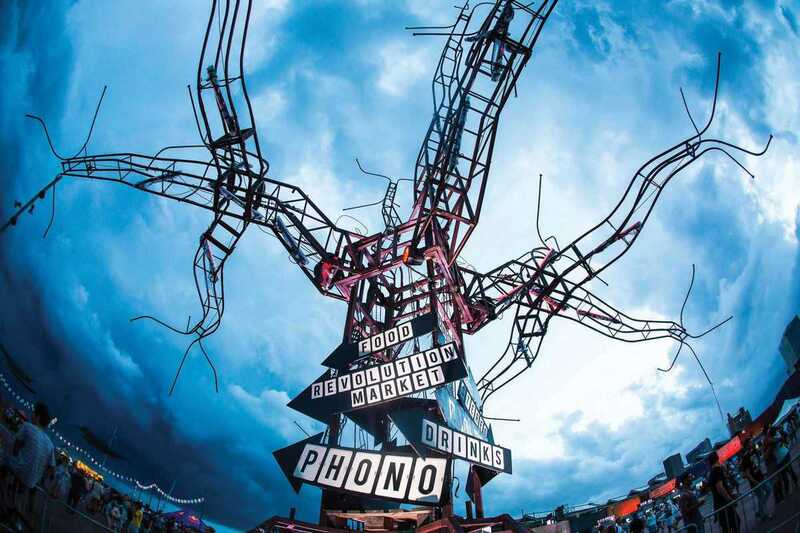 In spite of the subtropical storms that punctuated the weekend, it was a success by all accounts: 20,000 largely foreign ravers held their ground over three stages, decorated with a formidable array of post­apocalyptic structures which give the festival its own identity. Very much the niche festival, DGTL’s line­up is entirely constituted of 4/4 tech­ house and techno proponents from Europe and the US. Nina Kraviz and Maceo Plex are familiar names even to the uninitiated. Fans of the genre’s Detroit origins will look forward to seeing Robert Hood and Kyle Hall in action. Techno gets no tougher than the selections of Surgeon and Truss, whereas Pional and Hunee will provide a sophisticated and more uplifting slant on your evening.